At the June 7 Block Party at Lincoln Center, which celebrated alumni from several schools at Fordham’s Manhattan campus, it was the campus itself that stole the show. 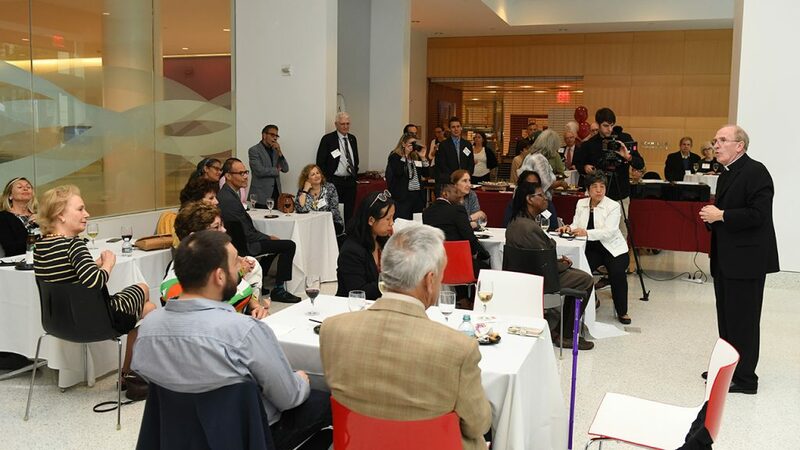 The event honored the 50th anniversary of Fordham College at Lincoln Center (FCLC), which welcomed the first undergraduate students to the Lincoln Center campus in 1968. In January 1969, when the Lowenstein Center was complete, the Graduate School of Social Service, the Gabelli School of Business, and the Graduate School of Education joined FCLC and the School of Law at Fordham’s prestigious Manhattan location. Nearly 700 alumni and faculty gathered on campus to share memories—from those early days on 60th Street to today. The evening began with intimate receptions for the various schools and ended with a crescendo of dancing and revelry under tents on the plaza. Gifts from FCLC alumni to the University in the past year totaled more than $1.6 million. To commemorate FCLC’s 50-year milestone and offer some context and history, a panel of three of the college’s deans, past and present, convened in the Pope Auditorium. Moderator Frederick J. Wertz, Ph.D., professor of psychology, acting dean of the college, welcomed George W. Shea, Ph.D., professor emeritus of classics, dean from 1970 to 1985; Edward Bristow, Ph.D., professor of history, dean from 1991 to 1997; and Robert Grimes, S.J., who served as dean of the college from 1997 until this past winter, when he took a leave of absence. Interspersed with home movies and video, the deans’ presentation riffed on what they saw on the screens. 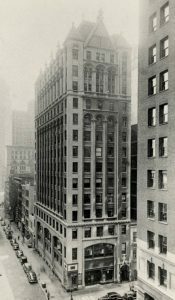 The first movie, shot in black and white, depicted the move of the schools of education and business from 302 Broadway, where plaster had been falling on desktops, to the modern new Lincoln Center digs. A group of young men and women locked arm in arm made their way across the plaza to “Let the Sunshine In” from the musical Hair. The second video struck a more promotional tone. Created in support of the Fordham Theatre program, it featured actors Denzel Washington and Patricia Clarkson and was set to the background music of Frank Sinatra’s “New York, New York.” The final video employed present-day drone footage of the sleek Fordham Law building and the Manhattan skyline. But the risk, it turns out, was well worth it. The move further cemented the University’s place in Manhattan and the rights to a world-famous name: Lincoln Center. Throughout the evening, alumni from several decades reminisced about their days on 60th Street. For all the changes across campus, the Pope Auditorium was exactly as Rosie Gunther-McCooe, FCLC ’85, remembered it. Gunther starred in the Fordham production of Cabaret opposite John Hickey, FCLC ’85, who would later reprise his role as Clifford Bradshaw in the Broadway production of the show. She, like all first-year theater students, was required to build sets and work on the technical aspects of the show before setting foot on the stage as an actor. Today, Gunther-McCooe mounts children’s productions in the public schools in Ridgewood, New Jersey, and keeps the kids on point by making them learn the technical aspects of the show before setting foot on stage as an actor. But Gunther-McCooe said writing was the most important skill she took away from Fordham. Gunther-McCooe’s husband, Sean McCooe, FCRH ’84, concurred, adding that their son, John McCooe, FCRH ’13, graduated with the same important proficiency. “It’s all about the writing,” said Gunther-McCooe. 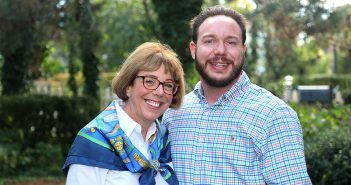 All three credited their liberal arts education for broadening their perspective beyond their focus of study. In his concluding remarks on the panel, Bristow emphasized as much when he noted that the liberal arts are under attack, and that Jesuit institutions are more than qualified to defend them. But what is a Jesuit education to alumni and staff from the Lincoln Center campus? At a reception for the School of Professional and Continuing Studies, Nancy Perri, PCS ’11, a staffer in Fordham’s Controller’s Office, said her Jesuit education meant learning more about her faith through the core courses on philosophy and theology. It also meant that she could make a quick dash down the hall and receive ashes on Ash Wednesday. For Jenny Rolon, FCLC ’10, GSAS ’14, who was at the FCLC reception, her education went beyond the books. She was there with her daughter, Hannah, waiting for her husband, Daniel Rolon, FCLC ’08. She said that the Jesuit notion of caring for the whole person, or cura personalis, is something she keeps in mind in her work as an administrative assistant in an oncology department and as a mother. Others talked about living out Jesuit ideals in their careers, as was the case for students from the Graduate School of Education and the Graduate School of Social Service. For others, the Jesuit ideal boils down to participating in the community. Both Father Grimes and Cira Vernazza, FCLC ’77, GSAS ’86, associate dean at PCS, recalled the late George McMahon, S.J., former dean of Fordham College at Rose Hill and vice president for Lincoln Center, playing basketball with students in the courts near campus. Vernazza recalled him playing with Denzel Washington, FCLC ’77, and Father Grimes said he would sometimes play after putting in 12-hour days. Often known as “Father Fordham,” Father McMahon was the namesake for McMahon Hall, the Lincoln Center campus’s first residence hall, which opened in 1993. “He couldn’t pass a court without playing,” said Father Grimes. Father McMahon’s playing ball in the neighborhood parallelled the campus’s reputation for being of the neighborhood, not just in the neighborhood. Karina Medina-Clark FCLC ’92, Maria Martinez Piszko, FCLC ’91, and Rita Mazella, FCLC ’93, grew up very close by. 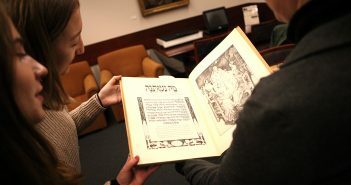 Mazzella said she appreciated that her spiritual needs were met while she was in college, but she most appreciated the diversity of the campus. “I met lots of older students who were in their 50s and 60s taking classes at night,” said Mazzella. “All nationalities, all religions, and all races,” Piszko chimed in. For some graduates, the notion of the Fordham community in New York City stretched will beyond campus. John Cancel, FCLC ’88, GSS ’94, agreed. “Fordham is ingrained into the city life,” he said. 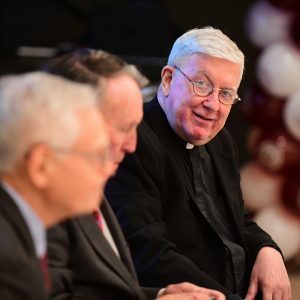 And yet with each passing year, that synergy with the city builds, and the already diverse campus community becomes even more so, said Father Grimes. He noted that interest in FCLC is no longer limited to the New York City region, but increasingly, students from around the country and the world apply. And while FCLC and Fordham College at Rose Hill in the Bronx are equally known for rigorous liberal arts education, Father Grimes noted that FCLC’s location is central to its identity.